Beginning this week you will read success stories of GOQii users in this space. These are stories of people who thought it would be impossible for them to give up old habits and embrace new habits for the better. When heard of their success stories we were encouraged to share these stories with a larger community who can get inspired by them to bring positivity in their lives. Hemant Kejriwal, a 39-year-old Start-up Entrepreneur from Mumbai had tried and failed many times to get energetic and active. “Till the time I was in school and college I was energetic and active. But, slowly as work life took over I started leading a sedentary lifestyle. Though, I had my flirtatious flings with the gyms. I would spend loads on membership but would never go regularly as I would be bored. Finally, I was warned by my wife to stop wasting money on gyms,” says Hemant. “I knew I wanted to be energetic through the day but, I was unable to do so. I did not know how to get started with this,” he adds. During this time, he got to know from friends about GOQii. He decided to go in for a band that came with a personal coach. In Oct 2014 he signed up with GOQii and got a band and made a commitment. “My Goal was to be energetic through the day. 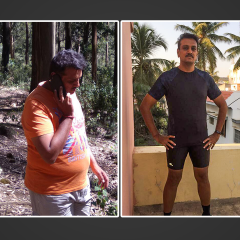 For me feeling energetic was more important than looking good,” says Hemant. Soon after I started interacting with my coach Hardika, I got on to the right track. I realised that ‘staying active’, above all else, was key. 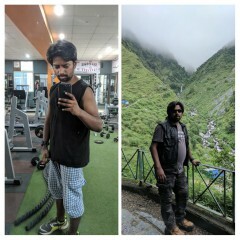 Within 4 months I had lost 9 kgs. The focus however was not so much on losing weight as much as it was getting fit overall – building strength, stamina, flexibility & agility. And precisely that happened. 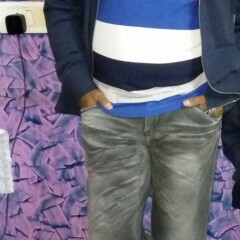 From a XXL size shirt, Hemant within 4 months could start wearing a XL size shirt. 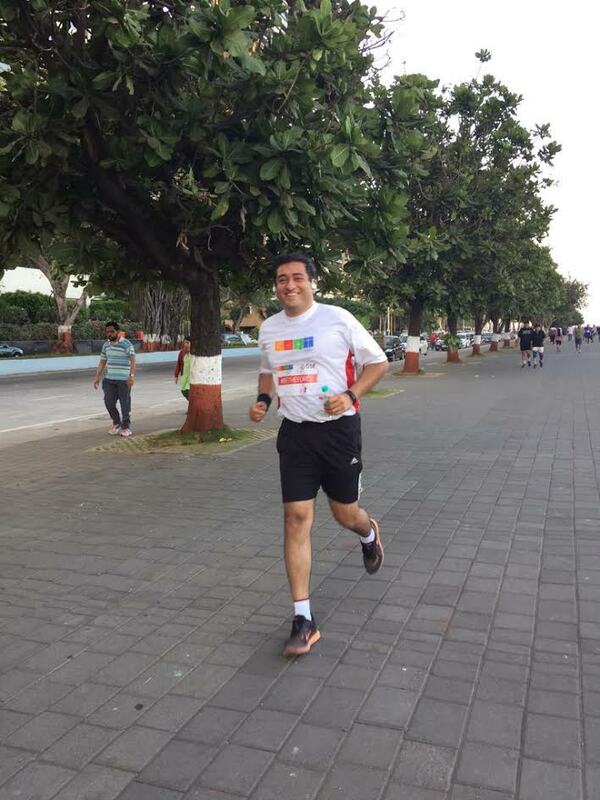 From not walking even a kilometer or (0.6 mile) or (1000 steps) in an entire day, Hemant had soon got down to running 8 kms a day before even getting to work His best he says was being able to swim 2.5 km (50 laps) in one ago within 6 months of getting on to GOQii. “This was a huge milestone achieved by me after almost 20 years,” he asserts. Talking about the changes he says: “I started by walking 5 km early in the morning (which gradually increased to 8 km) & adding another 3-4 km during the day. Then I focused on increasing my speed. And shifted to swimming in the summers,” Hemant says. Above all, his water consumption which was less than even a liter a day is consistently over 3 liters a day, now. Being a health food enthusiast, there has been no significant dietary changes. But there were large gaps between meals & not enough protein. He corrected all of this, and his pre-post workout meals thanks to his coach. For Hemant, the healthy lifestyle has helped his productivity at work and he says he has become a better husband and a better father. 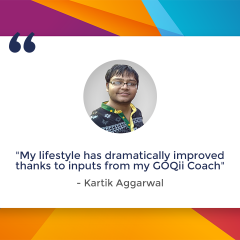 Hemant sums it up by saying in the last 15 months since he got on to the GOQii ecosystem, he has had a more holistic wellbeing thanks to the active lifestyle he has been leading. What does his Coach Hardika have to say? Hemant has been a dedicated player over the last 15 months. Prior to getting on to the GOQii ecosystem he was highly inactive. Over a period we have been able to control these issues. I am happy that he could swim 50 laps at one go which was his goal. Sporty and dedicated, Hemant has always been ready to take up any challenges that I have been giving. He has got very active. Within six months he was able to move from an XXL size to XL size shirt. I have sent him a GOQii Tshirt, a size smaller with a note: “I am happy with your progress and the way you are losing inches. I am sure you will need to change your wardrobe, so this is a contribution from my end which we will fit by end of this year”. He is motivated to work towards leading a better and healthy lifestyle and we are going to rock it!